Sweat all you want, push yourself in the rain, and get muddy. Jaybird run running headphones are Sweat-proof and water-resistant. The Jaybird app can locate your buds if they go missing. Jaybird Run Headphones. Custom sound - pump up the bass - freedom 2 works with the Jaybird app to give you your music, your way with drop-free Bluetooth signal strength. Sweat-proof - Double hydrophobic nano coated, sweat is a part of your routine, and freedom 2S sweat-proofing technology stands up to every drop of sweat you dish out. Pump up the bass or treble to create your perfect sound quality using the Jaybird App. Ready for anything - sweat, rain, or mud. With music we can push through pain to exercise longer and harder. Music gives us that extra rush to get us out the door when we need it most. 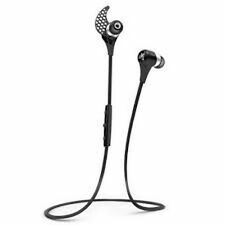 Jaybird Freedom F5 Wireless In-Ear Headphones - Black Special Edition This item is in excellent working order; however, it will show visible signs of handling. Carrying pouch is not included. X2 Wireless Earbud Headphones. Shift Bluetooth interface. Allows you to pair your cell phone or MP3 player for wireless streaming. 1 pair of Sport Ear Fins. Fit comfortably for extended wear during outdoor activities. Trending at $37.22eBay determines this price through a machine learned model of the product's sale prices within the last 90 days. Smaller than ever, the Jaybird X3 has a longer battery life, better sound, and a more secure fit. The in-ear speaker design has been significantly reduced by 20% and houses an enhanced 6mm driver for subtle lows and a booming bass. Works Great! In Good Condition! It is Fully Functional. Pump up the bass or treble to create your perfect sound quality using the Jaybird App. With music we can push through pain to exercise longer and harder. 4hrs with included charging clip. With music we require 10% less oxygen. Trending at $21.49eBay determines this price through a machine learned model of the product's sale prices within the last 90 days. Trending at $27.99eBay determines this price through a machine learned model of the product's sale prices within the last 90 days. Compatible with Jaybird Tarah ONLY. Won't fit Tarah Pro / X4 / X3 / X2 / Freedom. Original Jaybird. Free yourself from the tangle of wires on your morning run with these Jaybird Freedom wireless earbuds. Jaybird Freedom F5 Special Edition Wireless In-Ear Headphones. LIGHTLY USED IN EXCELLENT CONDITION. Trending at $22.49eBay determines this price through a machine learned model of the product's sale prices within the last 90 days. Great Working Headphones. No other extras included. Functional Condition Lightly used, in good working condition.Whats Included. Wireless bluetooth Yes. Headphone style Bluetooth. CUSTOM SOUND EXPERIENCE. Fully weatherproof, IPX7 construction to handle adverse conditions and Type-II fun. - PREMIUM SOUND WITH CUSTOM EQ. International Warranty. Go all out with the Jaybird X3 Wireless Headphones! Smaller than ever, the X3 has a longer battery life, better sound, and a more secure fit. The in-ear speaker design has been significantly reduced by 20% and houses an enhanced 6mm driver for subtle lows and a booming bass. Jaybird X3 In-Ear Wireless Bluetooth Headphones EarBuds - Black X3 #c854B (BT). headphones with wings only. Not Included. 1 X Headphones. Installation Support. We do our best to notate each flaw. Works Great! In Good Condition! The Item is Fully Functional. General Interest. New Nikon Parts. This revolutionary set of wireless headphones combines cutting-edge engineering and technology with a sleek look and a host of useful features to bring your audio listening experience to the next level. Jaybird RUN True Wireless In-Ear Headphones Jet Black Bluetooth Brand New Sealed. 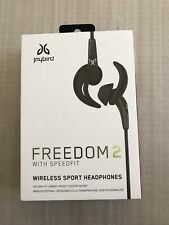 NEW Jaybird Freedom F5 In Ear Wireless Sport Headphones Carbon & 2 Battery Clips. Condition is New. Shipped with USPS Priority Mail. jaybird X3 wireless sport headphones. Condition is New. Shipped with USPS First Class Package. Jaybird FREEDOM 2 In-Ear Wireless Bluetooth Sport Headphones with SpeedFit. Item has been tested and working in excellent condition Selling as is Shipped with USPS First Class Package. (Black) Jaybird X2 Bluebuds Ear Wireless Headphones Black #UV9(IL). ear wings one pair. Functional Condition. 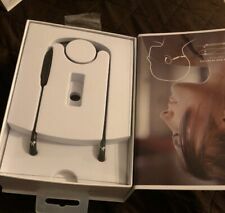 Freedom Wireless Earbud Headphones. Provides protection from sweat, so you can easily wear headphones while working out. Enables simple wireless pairing with your Bluetooth-enabled device. Supports HFP, HSP, SPP, A2DP and AVRCP Bluetooth profiles. Up for sale are Jaybird Freedom F5 Special Edition Secure-Fit Wireless Sweat-Proof Headphones. - Great Working Headphones. No other extras included. 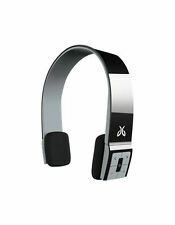 Jaybird is a consumer electronics company that is mostly known for its wireless sports headsets. The wireless headsets produced by the company are designed to be used with devices that offer Bluetooth technology, and they are available on eBay for various affordable prices. How are Jaybird headsets different from other headsets? How long does it take to charge wireless earbuds? Most wireless headsets completely charge in 1 to 2 hours. In a pinch, most wireless earbuds will give you 1 to 2 hours listening time with a 5- to 15-minute charge. What are the different Jaybird sets available on eBay? Jaybird X2: This earbud set was released in August 2015. It comes in a variety of colors. You can select from an assortment of foam and rubber ear tips. The buds store in a flexible soft-sided case. They charge fully in 2 hours with an 8-hour battery life. Jaybird X3: These were released in October 2016. The variety of tips include an isolation model for further blocking of outside noises. They feature a new fin design. 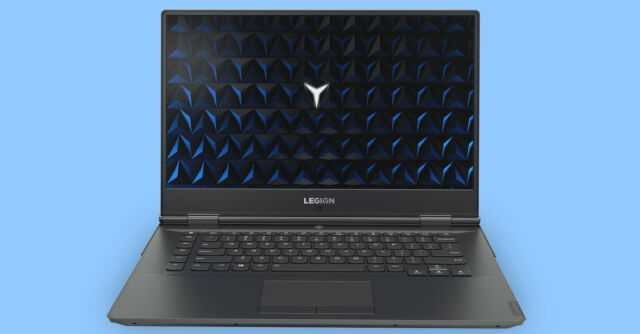 This release has a smaller profile than the X2s. They are water-resistant along with the standard sweat-proofing. They are designed to provide up to 8 hours of battery use. 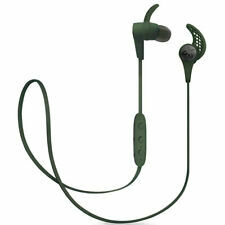 Jaybird Run: This earbud was released in September 2017. They are also sweat-proof and water-resistant. The RUN provides 12 hours of total play time with 4 hours from the buds and an additional 8 hours from the case. Users have a wide selection of interchangeable tips and fins. The buds come in an oval recharging case with external USB port. 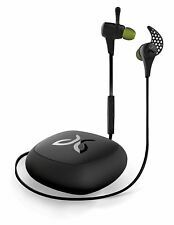 Jaybird X4: The latest Jaybird X version was released to the market in August 2018. The most notable distinction of the X4 is the IPX7 certification. This means that it is waterproof. Specifically, the headset is waterproof to a maximum of less than 30 minutes and at a depth of less than 1 meter along with the standard sweat-proof coating. 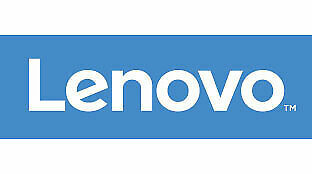 Users are offered a selection of silicon and memory foam ear tips. The battery life is 8 hours. Content provided for informational purposes only. eBay is not affiliated with or endorsed by Jaybird.